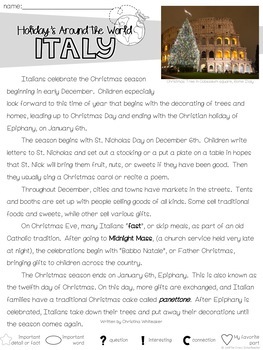 Holidays Around the World Close Reading Comprehension Passages includes passages on 13 different holidays. 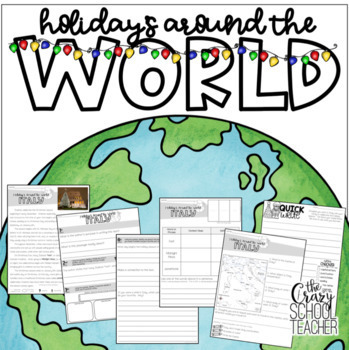 December can be one of the most challenging times to engage our students in rigorous work. These passages will do just that! 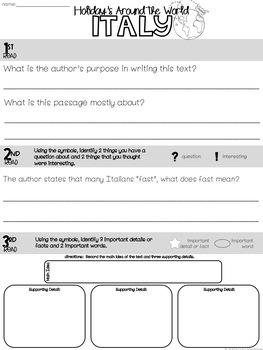 Students can use these independently, in literacy groups, strategy groups, or guided reading groups! 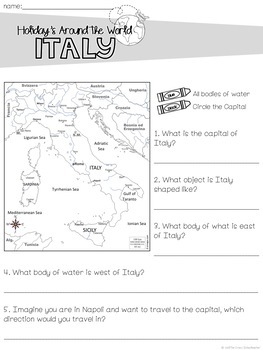 These activities will allow you to check their understanding of the reading and social studies skills. Helpful Hint: These passages are appropriate to use with students in 3-5 grade. I use these as both independently and in small groups with volunteers. Download the preview to get Italy for free!